Kemi is a town and municipality of Finland. Start off your visit on the 24th (Thu): take in the architecture and atmosphere at Tornio Church and then get in on the family fun at Duudsonit Activity Park - TornioHaparanda. On the next day, take an in-depth tour of The Provincial Museum Of Tornio Valley and then contemplate in the serene atmosphere at Kemi Church. To find ratings, photos, traveler tips, and other tourist information, read Kemi trip planner . Kuala Lumpur, Malaysia to Kemi is an approximately 27-hour flight. The time zone difference moving from Malaysia Time (MYT) to Eastern European Time (EET) is minus 6 hours. Traveling from Kuala Lumpur in October, things will get much colder in Kemi: highs are around 6°C and lows about -1°C. 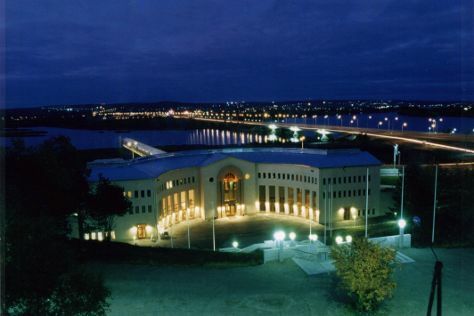 Finish up your sightseeing early on the 25th (Fri) so you can catch the train to Rovaniemi. Bring the kids along to Kopara Reindeer Park and Feelapland. Discover out-of-the-way places like Pyha-Luosto National Park and Syvasenvaara Fell. Next up on the itinerary: find something for the whole family at Santa Claus Village, tour the pleasant surroundings at Ounasvaaran Hiihtokeskus Oy, stroll the grounds of German Soldier s Cemetery, and take an in-depth tour of Arktikum. To find reviews, photos, other places to visit, and other tourist information, read Rovaniemi visit planning app . Traveling by train from Kemi to Rovaniemi takes 1.5 hours. Alternatively, you can take a bus; or drive. Traveling from Kemi in October, expect nights in Rovaniemi to be about the same, around -1°C, while days are little chillier, around 3°C. Finish up your sightseeing early on the 31st (Thu) so you can travel back home.